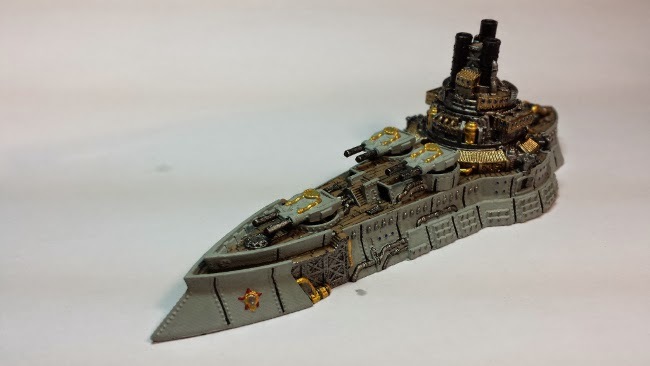 My Russian Coalition Borodino Class Battleship from Spartan Games Dystopian Wars. It is from the RC Naval Battle Group. A fantastic deal for a small starting force. 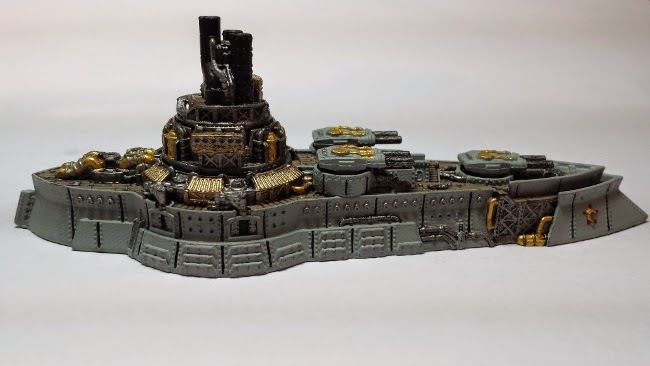 Dystopian Wars is by Spartan Games and takes place in a universe where sources of extraordinary power and technology were discovered in the Victorian era. Military technology has gone completely out of control as great metal constructs of destruction lumber across the Lands, Seas, and Skies of the world.